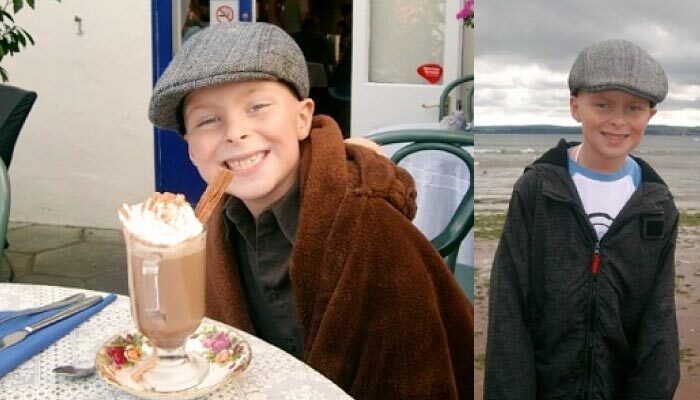 Jack Daly our son was diagnosed with a medulloblastoma brain tumour on the 27th of May 2009 after eight previous weeks of being told by GP’s there was nothing wrong with him. On the same day of being diagnosed this traumatic news, our 7 year old son was blue lighted from Reading’s Royal Berkshire hospital to the John Radcliffe hospital in Oxford to undergo 2 operations. The first was to push a spike through the top of his head, through his brain and out the other side, then to pierce a hole to release the build up of fluid that was causing the headaches and the constant sickness and vomiting he had been suffering over the previous 8 weeks. This was done on the 28th. After a very frightening consultation with the surgeon about what could and probably would happen. Jack went down for his second operation on Monday 1st of June to remove the tumour at 8-30am. Although we had every bit of confidence in the surgeon who was performing the operation, it was the most terrifying day of our lives and we would never want to experience that again or wish it on anyone. At 6-30pm the surgeon came to us to offer the news that the operation had gone better than he could have wished for but explained that even though he had removed the tumour, our war had only just begun. At the time, that didn’t mean a thing to us, all we were interested in was that our little boy was going to live and survive this torturous illness that he had encountered. Since leaving the hospital Jack has undergone various treatments and a small op to insert a Hickman Line. He has now completed a 6 week course of Radiotherapy and is due to start an intense course of Chemotherapy as of the 20th of October. This has completely turned our lives upside down and into total mayhem but we’ve learned that life is a challenge and together we are going to win. Our families and friends have been rocks to us all. We could never find a way to express our gratitude and thanks to them. Without them we would probably have crumbled. Last week we were given a free holiday to Babbacombe Bay in Torquay, Devon by a very generous man called Luke Tillen and the network he has set up. This is a charity like network where not taking money from people but asking them to donate part of their time and services to families like ours to have a break from our traumatic situations. We arrived on Monday morning with 5 free days half board stay at the Hotel-Del-Mer of which he part owns with his family. We were welcomed with open arms by Luke and his mum at the door. Luke handed us a credit card size card which he explained would gain us free entry to any of the attractions that was on his network, together with a massive pile of leaflets of all the businesses who had joined and were willing to let us visit free of charge. Because we only had 5 days and there were around 40-50 free things we could pick from, we had to just pick 1 thing per day as Jack at this time was getting very tired by the afternoon. At every attraction we visited whilst we were there, we were greeted with a very warm welcome and an offer of any help we needed for as long as we stayed. On the Wednesday evening Luke had arranged for us to visit his local fish restaurant and have a free meal there. I thought I’d died and gone to heaven! Hanburys fish and chips, I must say is the best we have ever had in our lives. Even Jack who hasn’t been eating for about 4 weeks scoffed his meal down after getting him to just sample a bit. On the Thursday after breakfast the local ITV news crew met us all at the hotel to run a story about the THHN (Torbay Holiday Helpers Network) which Luke has set up. After a couple of interviews done at the hotel the news crew followed us to Woodlands Family Theme Park where they interviewed Jack and his mum. They filmed us having a great time on all the attractions including the ones that Jack liked most which meant we all got absolutely soaking wet. Sally the head of Marketing met us at the gate and produced free coupons to us for free food and drink whilst we were there. We got back to the hotel in time to watch ourselves on the 6 o’clock news which was strange to see. We had an amazing day everyday whilst we were there and everywhere we visited we were treated like VIP’s and would recommend that if you have been referred to the THHN by NACCPO (National Alliance of Childhood Cancer Parent Organisations) you should grasp the opportunity with both hands. What Luke Tillen and his members are doing here is amazing and gives families like ours something to focus on and look forward to. We really hope that more and more hotels come on board and support the THHN and that one day it will become a national alliance where people from all over the country will donate their good fortunes and generosity to help families have a break from the torment that they have endured. We would like to thank everyone at the Hotel De La Mer for their kindness including all the staff that was so very professional in everything they did for us. Also all the attractions who allowed us free entry into their establishments, and the warm hospitality that we experienced whilst we were there. We had a great time visiting Torquay and hope that once Jack’s Treatment is over and he is in better health, we can visit again. Keep up the good work Luke, you’re a saint, and what you have given us is faith in this cruel world that people care and are willing to help.